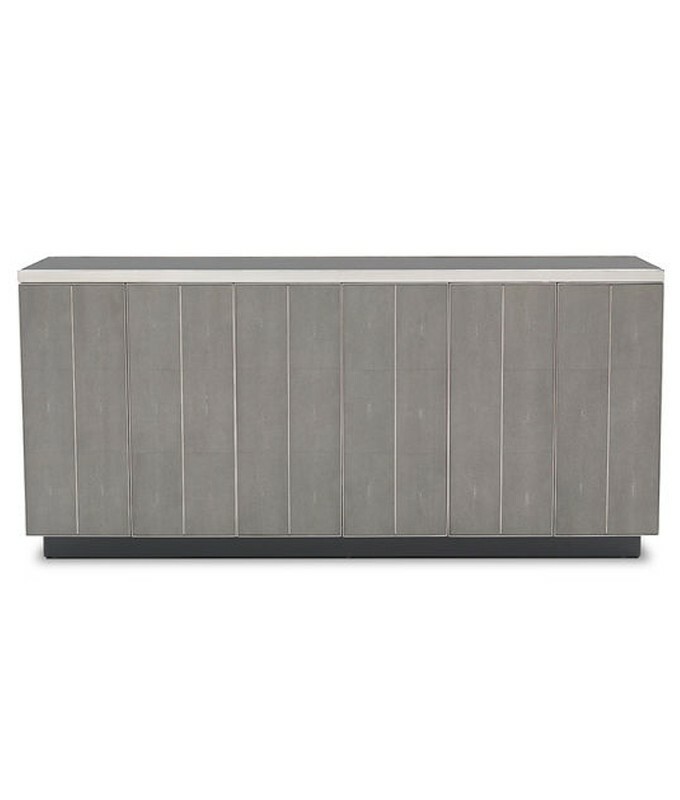 Suavely sophisticated like its namesake, this sleek modern console with architecturally inspired details features faux-shagreen in a warm gray finish. The luxurious finish is cast in resin from an impression of pebbled leather made from stingray skins and applied in panels. 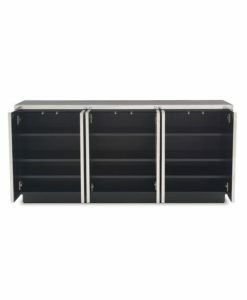 Three compartments with adjustable shelves offer ample storage for a media or dining room. 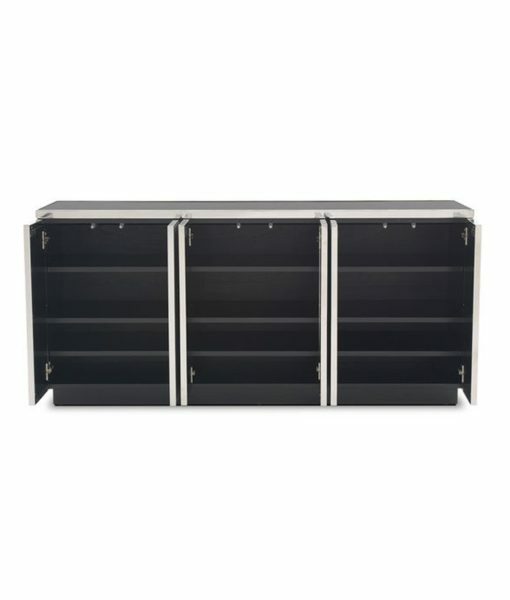 The Bond collection includes a media console, pull-up table, and cocktail table.